Can you imagine what it would be like to have millions of beautiful butterflies flying around you as you walk through the woods? David & Sharon Rasmussen can! They are the owners of Butterfly Hollow Farm, which is found in the foothills of Tennessee. I thought you’d like to peek into their wonderful little piece of heaven, and perhaps plan a visit to their B&B sometime soon! Butterfly Hollow Farm – The Beginnings of a young couple who slowed down, changed lifestyles, bought an old abandoned farm and have found peace, love, happiness and good health in living a simpler life. One spring day several years ago, the path Sharon and I were traveling led us to this country road and way of life. We followed it back into the end of a hollow and found an old abandoned farm and frame house, a couple leaning barns, and 85 acres of wild and overgrown forest, hills and pastures and somehow fell in love. We took a deep breath and a giant leap and have been blowing life back into Butterfly Hollow ever since! 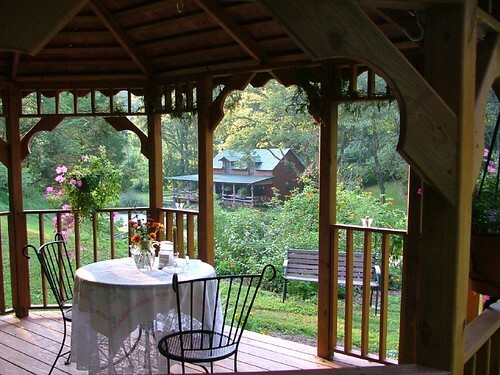 Nestled in the foothills of Tennessee’s Cumberland Mountains lies a secluded and peaceful valley. Wind your way along the country road and meander beside the peaceful creeks and branches. You’ll find yourself drifting back in time to a state of mind that can only be found by being in places like these. As you travel down the one lane road that leads through this farming community you’ll see hillsides scattered with horses, cattle, goats, deer, and wild turkey. And if you look close enough you can also see the remnants of several old homesteads and fallen barns. It’s these bits of history that offer a window to the past, a place in time when life moved slower, family stayed closer, and land provided everything you needed to live a simple healthy life. Read about our beginnings and the road signs that came up along our journey that turned us off the beaten path and onto the little gravel road that lead us up into Butterfly Hollow and a new way of living life. See how the farm got it’s name and you won’t believe the pictures. Words and a snap shot just can’t come close to the feeling of standing among a million butterflies with at least 50 sitting on your head. Our first major project on the farm was to restore the 1899 farmhouse into something livable again. Because of our changed lifestyle and small monthly budget, we knew we had to do most of the work ourselves and use recycled materials as much as possible. We took pictures along the way and have compiled our 4 year project into short stories about each segment of this major undertaking. We keep journals and have included many stories about our daily adventures, from personal thoughts, the cattle roundups, and horse rides, to some poems, reflections, and a couple bad days. Since our farm lies in the middle of a farming community, we naturally became part of a cooperative system and are getting more involved in the 300 head Beefalo operation and raising and training Paint Horses. There are sections for both of our furry hillside residents. There is also a section for information on Preserving Farmland. This topic has become very important to us and we have created this section to help stimulate thought and concern about this important issue. If after reading about the Butterfly Hollow beginnings, you feel a kindred spirit, realize you are on a similar path, or begin having visions of taking a similar adventure….. we would like to invite you to continue the journey further with us. The section on Sharing the Farm talks about our weekends from spring until autumn that we share the farmhouse and experience with friends. These pages are windows into our continuing journeys here. They’re our simple attempt to share with other like minds the things we might have to offer, as well as connect us with those that can teach us and lead us further down the path. “Go with us” as we say here in the South. Bean and Bacon Soup – Hearty Home Cooking at it’s Best! I loved your wonderful story. I actually took some photos of butterflys in my own garden yesterday. 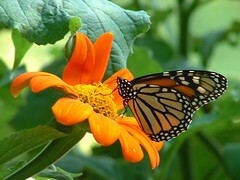 you can also find poems of butterfly for your interest at…. Very good, your website information is remarkably pleasurable, i like it!